This is a monthly delivery of 3 to 6 items for dirt bikers, moto cross, adventure & dual sport riders. Customize your experience by choosing what type of box and gear you want or need. 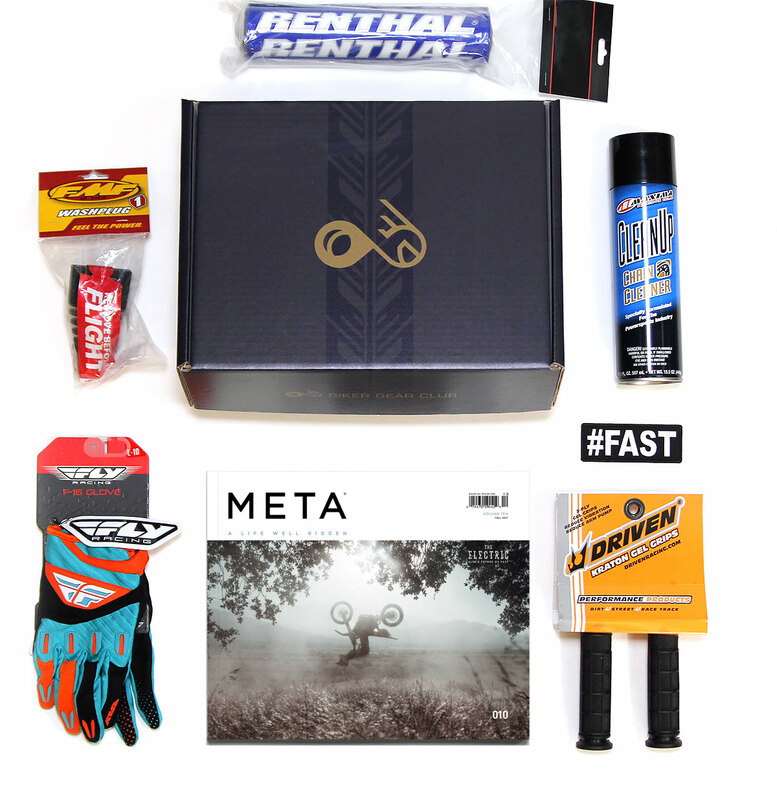 This box is best suited for adventure class bike riders dirt bikers and dual sport riders. If you focus on trail riding, cool — we will focus on curating your box full of gear for the trails. If you rather spend most of your days on the MX track, we will send items that are geared for the track.